It’s time to start thinking about pre-emergents for your yard with Spring blooming right around the corner. And, so are the weeds. You have a 6-week window to apply pre-emergents, from around mid-January/first of February (as long as the weather stays relatively warm) to the middle of March. Do you know what the 3 factors are that determine when a seed will germinate? They are soil temperature, moisture, and sunlight. The pre-emergent must be applied and active BEFORE that magic moment of germination occurs. 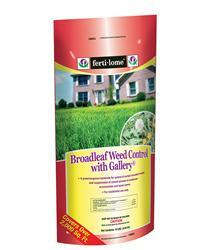 Synthetic pre-emergents are Dimension for the grassy weeds and Gallery for the broadleaf weeds. The key to success with these products is to apply the correct amount to your lawn. Follow the label directions and know the square footage of your lawn. Dimension pre-emergent treats 4,000 square feet for $12.99, and 10,000 square feet for $35.99/bag, treating both grassy and broadleaf weed seeds. Dimension pre-emergent treats 4,000 square feet for $12.99, and 10,000 square feet for $35.99/bag, treating both grassy and broadleaf weed seeds. Gallery pre-emergent treats 2,000 square feet for $22.99. It’s a great product for broadleaf weeds, especially dandelions. 0-0-7 with Barricade pre-emergent is a great product. It lasts 120-150 days and covers 8,500 square feet. $19.95 for 50 lb bag. We offer products such as Hi-Yield Turf & Ornamental Weed & Grass Stopper and Weed & Feed (fertilizer with pre-emergent) at $14.95 which covers up to 5,000 square feet. Corn Gluten Meal- $32.99 covers 2000 Sq. Ft.
Dimension- $12.99 covers 4,000 Sq. Ft. and $35.99 covers 10,000 Sq. Ft.
Gallery- $22.99 covers 2,000 Sq. Ft.
Barricade- $19.95 for 50 lb bag covers 8,500 Sq. Ft.
Weed & Feed- $14.95 covers 5,000 Sq. Ft.
Come see us at Foreman’s General Store today for Spring Pre-Emergents and all of your gardening and lawn care needs. This entry was posted on Tuesday, January 15th, 2019 at 7:33 am	and is filed under Garden, Lawn & Garden, News & Updates. You can follow any responses to this entry through the RSS 2.0 feed. Both comments and pings are currently closed.